We are engaged in supplying and exporting a high quality Phototherapy Equipment. Our vendors process these products using premium quality ingredients, in compliance with international quality standards. 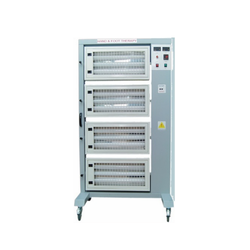 These equipments are quality tested before delivery to the customers and are widely acknowledged for their high performance and long service life. They are packed using high quality material to ensure safe transportation till customers end. Every product is manufactured in surveillance of our expert professionals to ensure 100% client satisfaction. We are among the trusted names engaged in supplying and exporting a wide range of Whole Body Phototherapy Systems. These systems are widely demanded for their long service life and high quality. The product is fabricated as per industry laid parameters using superior quality raw material from the certified vendors of the industry. In addition to this, clients can avail this range from us in numerous customization options as per their needs and demands and the rates are kept very reasonable fro our clients. We are among the trusted names engaged in supplying and exporting a wide range of Whole Body Phototherapy Systems. These systems are widely demanded for their long service life and high quality. The product is fabricated as per industry laid parameters using superior quality raw material from the certified vendors of the industry. 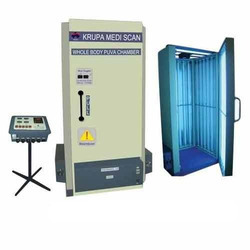 In addition to this, clients can avail this range from us in numerous customization options as per their needs and demands and the rates are kept very reasonable fro our clients, We looking buyer of Whole Body Phototherapy Systems from Gujarat. We are one of the leading organisation of this domain, engaged in manufacturing and exporting a superior grade range of Localised Phototherapy to the esteemed clients. Clients can avail from us a quality tested range that suits their needs and demands in the most promising manner. The raw material used is of supreme quality and is sourced from the most reliable vendors of the industry. The product is manufactured using latest techniques and methods evolved in the industry. We are among the trusted names engaged in supplying and exporting a wide range of Whole Body Phototherapy Systems. These systems are widely demanded for their long service life and high quality. The product is fabricated as per industry laid parameters using superior quality raw material from the certified vendors of the industry. 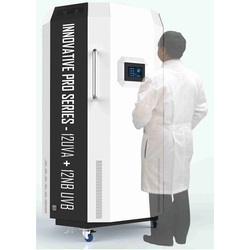 In addition to this, clients can avail this range from us in numerous customization options as per their needs and demands and the rates are kept very reasonable fro our clients.We looking buyer of Whole Body Phototherapy Systems from Mumbai. Cabinet Material Made of high quality mild steel with 7 step powder coating process. Radiation: Both Narow Band UVB-3llnm & UVA32O-360nm. UV Therapy with different combination (UVA & NB UVB) can be provided as per your choice up to 48 tubes.